This case study is an examination of Shugborough, Staffordshire, the seat of the Earl of Lichfield, which touches on some aspects of a larger research project on the property that I hope to publish more extensively elsewhere. Shugborough differs from some of the other properties on which case studies are being produced under the auspices of the ‘East India Company at Home’ project, most obviously in its primary links to the Royal Navy, rather than the East India Company (EIC). 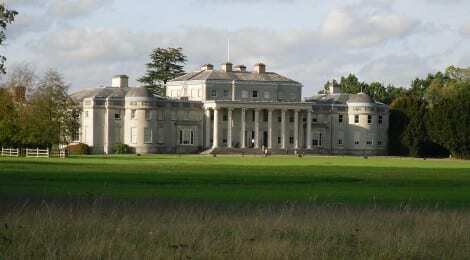 In this regard I hope that the story of Shugborough, its connection with the Anson family, its ‘Chinese House’ and its armorial porcelain might provide a useful comparison, against which the project team and associates can view the EIC merchants’ properties that are the more central focus of their research. My own particular interest in Shugborough lies in the Chinese and Chinese-style objects and structures that adorn the estate, and this case study is deliberately focussed on this single aspect of this fascinating property.